The inaugural meeting of the Colombo Process (CP) took place in 2003 in Colombo, Sri Lanka. 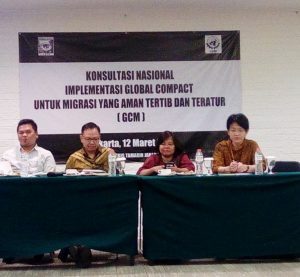 It gathered ten countries of origin and the International Organization for Migration (IOM), which acts as the Secretariat of CP since its inception. Since the inaugural meeting, Ministerial Consultations have been held in Manila, Philippines (2004), Bali, Indonesia (2005) and Dhaka, Bangladesh (2011). The third meeting in 2005 was the first where countries of destination, referred to as ‘Observer States, took part. There are 11 Member States: Afghanistan, Bangladesh, China, India, Indonesia, Nepal, Pakistan, the Philippines, Sri Lanka, Thailand and Vietnam. The eight Observer States include Bahrain, Italy, Kuwait, Malaysia, Qatar, Republic of Korea, Saudi Arabia, United Arab Emirates. 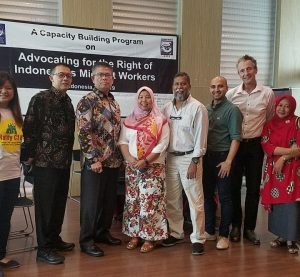 The regional consultative process offers an informal and non-binding environment for Member States, observers and external organizations to engage in dialogues and cooperate on issues related to labour migration. Importantly, CP creates an opportunity for countries of origin to engage in collective bargaining to push for their interests. The CP meetings are generally conducted in two parts – the Senior Officials’ Meeting and the Ministerial Consultations. The Chairmanship of the Ministerial Consultations rotates. It is the duty of the participating Senior Officials to ensure that the outcome documents are finalized and ready for adoption by the Ministers and Heads of Delegations at the Ministerial Consultations. Recommendations adopted at the Ministerial Consultations are at times implemented at the national level. Member States aim at enhancing cooperation between the CP, European Union, Abu Dhabi Dialogue and the incoming Global Forum on Migration and Development. Member States of the CP are also aiming at reviewing and implements the Sustainable Development Goals targeting migration.